Marc Pelletier is a geometric artist, one of the visionaries behind the amazing Zometool system and the designer and builder of 120-cell models including one given to John Conway at Princeton and one at the Fields institute (given on the occasion of Coxeter’s 95th birthday). 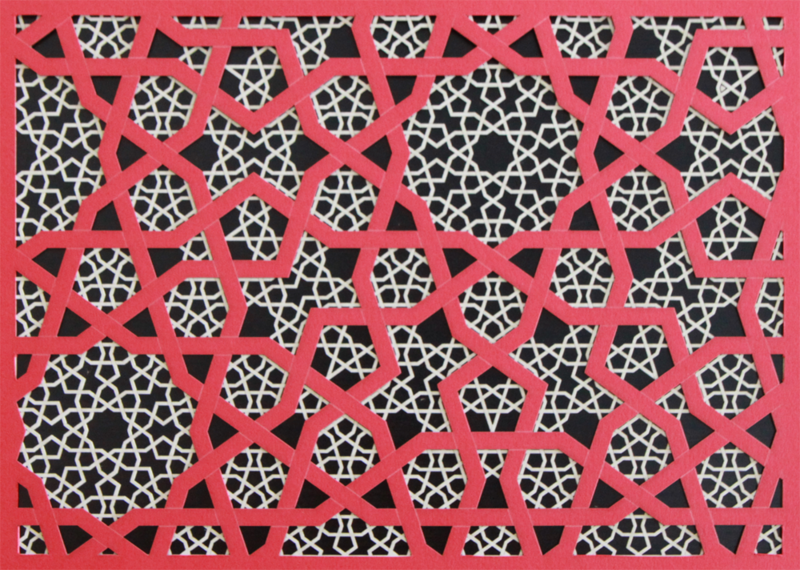 More recently he has been working on Islamic tiling patterns, drawing on the work of Jay Bonner, an expert on the geometric art of the Middle East. 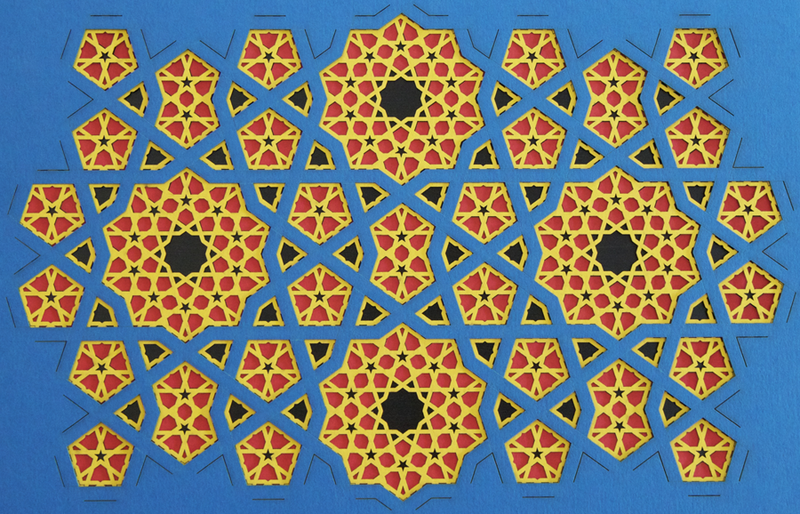 Marc has created an elegant and general system to generate such tilings with fine control over the symmetry and structures that come out. Here are a couple of sample designs. Marc, Chaim Goodman-Strauss and I were discussing the methods and how they can be put into a mathematical framework. Absolutely gorgeous designs! Amazing how the colours emphasise different levels of patterns. Great work! ineteresting pattern, simple and elegant, and I think that is good idea to explore more about that. any way how can you just call them as an islamic pattern, according to what?